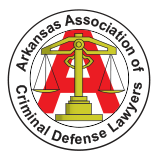 Attorneys that focus on estate and probate law in Arkansas help clients resolve all facets of planning for the conservation and disposition of estates. Estate and probate lawyers must understand the state and federal tax burdens that apply to this area of the law. Estate and probate lawyers prepare the legal instruments to accomplish the estate plans including drafting and executing wills, administering formal and summary estates, including tax related matters. Attorneys also engage in probate litigation including will contests or will or trust construction suits in probate court.